Personal injury lawyers wear many hats, which is a good thing if you ever find yourself or a loved one injured in an accident and left with significant physical injuries that require medical attention and weeks or months of care. However, what exactly do personal injury lawyers do? In this post, we’ll share some of the key things that a personal injury lawyer will do in order to represent your interests in such a case, and how they give you the best possible chance of receiving full and fair financial compensation. Let’s jump right in. A personal injury lawyer is the person who provides legal representation to individuals who’ve been injured in an accident that was not their fault. They work in tort law, which encompasses both intentional acts and negligent acts, to pursue compensation for accident victims. Personal injury lawyers also help you to get better much faster by accessing the treatment you need as well as the resources that can promote a faster recovery. In doing do, they need to understand the nature, cause, and extent of the injury, along with the different ways that the injury has affected your career and the activities of your daily life. After a serious accident, many people are often left overwhelmed. You’re likely to be damaged physically, emotionally, and financially; and you probably don’t want to have to spend your time re-living the accident by conducting an investigation on what happened. This is where an injury lawyer comes in. The lawyer can visit the scene of the accident, gather the necessary evidence in photos and video, take pictures, talk to witnesses, and even try to contact the local business owners to find out if they have any video surveillance footage of the scene. They may also try to contact the city officials to see what information may be available through their sources. They can also contact the police and obtain a copy of the accident report. All these are critical steps, which can help to build up your personal injury claim against the offender, and ensure that you receive the maximum possible compensation. Rosemary Swan of White Jordin Lawyers. Rosemary has more than 25 years experience of practicing law. Most personal injury lawyers work on a no win no fee basis, meaning that they only charge you after they have secured a jury verdict or settlement. Since they often finance the entire case, they take great care while screening a potential client and in evaluating the merits of the case. They generally won’t want to take on a case they don’t believe will result in a win for the client. The evidence they gather might be able to establish liability of the negligent party as well as the extent of damages the plaintiff suffered. This may include medical bills and records, employment reports, employment documents, and property damage reports. Many people don’t engage in negotiations as part of their daily lives. However, personal injury lawyers are professionally trained, and are already used to negotiating with the insurance companies. Therefore, they are better placed in determining the maximum level of compensation that might be available depending on the circumstances of the case. The injury lawyer will also handle all the communication with the CTP Insurer and identify possible ways the insurer may try to take advantage of the injured person, such as making lowball settlement offers that don’t compensate you for all the losses and suffering. A lawyer can advise you when an offer is worth your consideration or not. They will also prevent you from doing anything that might jeopardise your claim. In case the insurance company fails to offer a fair settlement, your lawyer will prepare court documents to be served on the CTP Insurer. This claim sets out the negligence of the defendant responsible for the accident, and itemises the amount of damages that you are seeking. 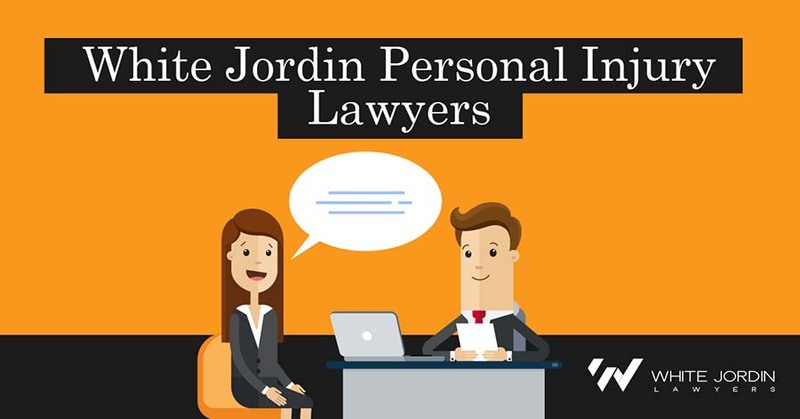 Keep in mind that personal injury lawyers are well versed and familiar with the customs and procedures of the court, and will act in your best interest. It’s crucial to have a personal injury lawyer by your side if you were injured in an accident that wasn’t your fault. Getting a lawyer essentially levels the playing field, since the CTP Insurer will most likely hire a lawyer to represent them too. The CTP Insurer will have access to resources like private investigators and expert witnesses when necessary. If you or your loved one was injured in an accident, contact White Jordin Lawyers today on (07) 3211 8644. Our lawyer has over 27 years of experience in representing clients injured in accidents that were not their fault.